Lokendra Bahadur Chand (Former Prime Minister ) in the program Tough Talk. Lochan Rijal (Composer/Singer) in the program Tough Talk. Gagan Thapa (Health Minister) in the program Tough Talk discussing about the health sector of Nepal. Dil Bhusan Pathak interviewing visually impaired Shristi KC who is also a founder of ‘Blind Rocks !”‘in program Tough Talk. नेपालमा स्वास्थ्य क्षेत्रको वास्तविकता के हो ? आम जनताको स्वास्थ्यमा पहुच नहुनुमा नीतिगत कमजोरी हो वा नाफाखोरी प्रवृतिको प्रभाव ? 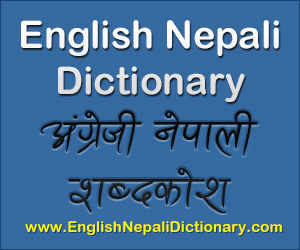 र यसको सुधारका लागि के गर्नु पर्ला ? Interview with politician Jhalnath Khanal on Tough Talk program by Dil Bhusan Pathak. Interview with famous Actress Karishma Manandhar on Tough Talk program by Dil Bhusan Pathak. Interview with famous Actor Dayahang Rai on Tough Talk program by Dil Bhusan Pathak.